Our final 2-for-1 ticket sale for TNW Europe 2016 takes place at 3pm CET tomorrow, December 16. Sign up for an email notification just before the sale, or bookmark the ticket shop. 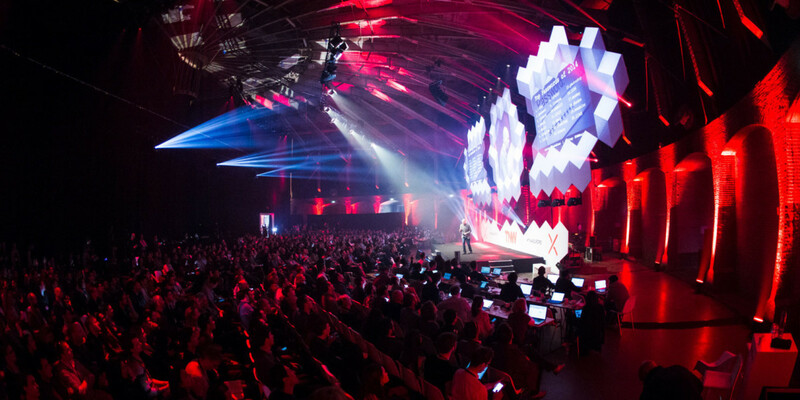 There have been some huge announcements for TNW Europe 2016 since our first 2-for-1 ticket sale last October. Since then, our speaker lineup has tripled. The bill for 2016 now includes the incredibly intelligent Julie Zhuo (Director of Product Design, Facebook), YouTube Star Casey Neistat, Vine Co-founder Rus Yusupov and many others. That means 24 top-flight names are now confirmed, with many more to come in the following weeks and months. We’ve also announced X – our new technology hub in the heart of Amsterdam, which we’re opening next year. 8 out of 10 people visit TNW Conference to connect with new people, so during conference week, X will be available to attendees as a bustling, unique centre for business, networking and partying. In other words, TNW attendees can think of X as a home-away-from-home during a week of activity that will see more than 20,000 people take part in our conference and 100 satellite events across the city. Put simply, next year’s event is set to be the greatest that we’ve hosted in our 10-year history – and tomorrow is your last chance to secure 2 tickets for the price of 1. At 3pm CET (2pm London, 9am New York) December 16, our ticket shop will open for just one hour. Be sure to bookmark the page, or sign up to receive an email reminder just before our shop opens. Tomorrow will be your last chance to secure a conference pass for under €400. Regular price tickets will be on sale from January.